Gompertz velocipede with front freewheel – June 1821 – courtesy of Polytechnic Journal. I recently discovered a treasure trove of bicycle history technical materials. Germany’s Polytechnic Journal was founded in 1821 and has since been digitized. The journal was conceived by Johann Gottfried Dingler, a German chemist who worked for Augsburger, a German manufacturer. He was primarily interested in printing and dyeing, but later got involved in publishing scientific journals. His goal was to explore “natural history, sciences, chemistry, mineralogy, planting”, and machine theory, among other topics. 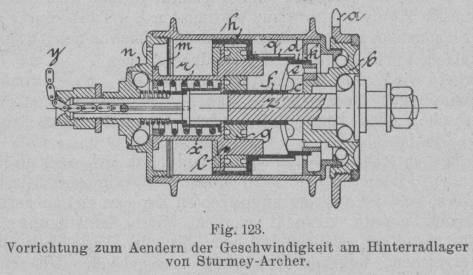 Sturmey Archer 1903 3 speed hub, courtesy of Polytechnic Journal. 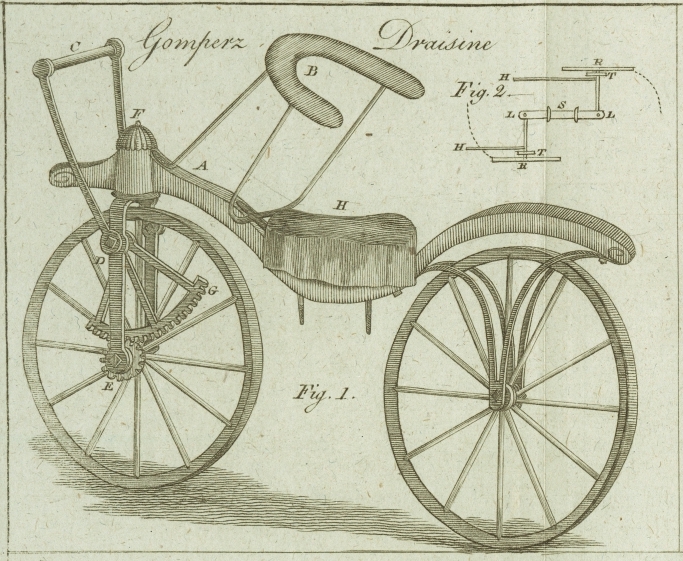 The Polytechnic Journal is a unique resource which documents creative innovations of the time for a variety of scientific innovations – cycling being one of those innovations. 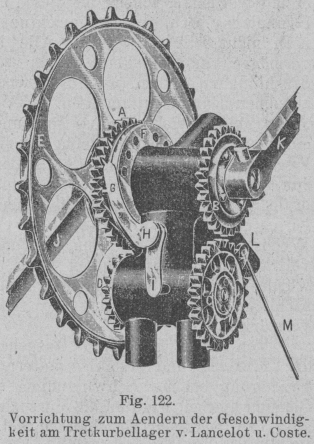 The above drawing of the first internal hub invention – Sturmey Archer’s 3 speed hub – accompanies a discussion in the journal of the many ideas and innovations that were developed to address the need to change the gearing ratio on a bicycle to accommodate differing surface grades encountered by the rider. 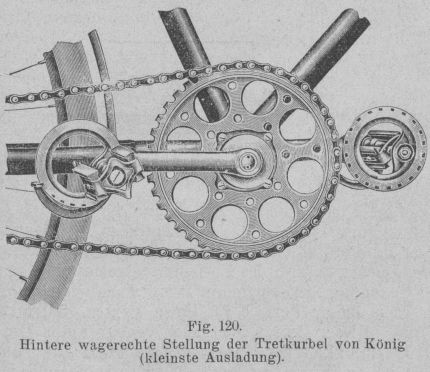 F. Konig eccentric pedal design – courtesy of Polytechnic Journal, 1903. Lancelot & Coste, March 1903, eccentric dual bottom bracket, courtesy of Polytechnic Journal. Here are a few more of those ideas – a pedal which rotates around the crank arm, and a dual bottom bracket which can alter the gearing ratio at the crank. 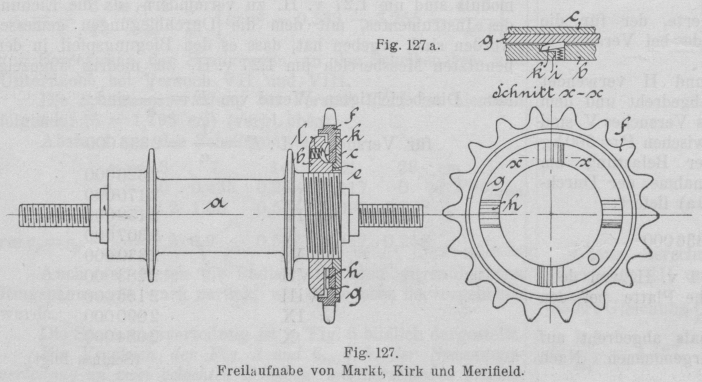 One of the first freewheels – designed by Markt, Kirk and Merifield – courtesy of Polytechnic Journal, 1903. But the freewheel, possibly first invented in 1821 (but not officially acknowledged until 1869), is one of the most important innovations in cycling’s history. Without the ability to freewheel, all of us would be riding fixed gear, with no ability to coast. If you want to learn more about the history of freewheel design, I recommend Bicycle Design, by Tony Hadland and Hans-Erhard Lessing. This book contains detailed discussions regarding most of cycling’s engineering innovations, and has excellent illustrations to accompany the only occasionally fatiguing text. The above examples are just a few of cycling history’s innovations which are documented in this journal. The journal is written in German, but using a translate tool, I found it to be easily understood. I look forward to further explorations of this resource which continued in publication until 1931. There are 33,448 articles in all. I’ve got lots of reading to do! This entry was posted in Bicycle history, Bicycle restoration and tagged bicycle design, Bicycle history, cycling history, freewheel design by Nola Wilken. Bookmark the permalink. Love it. What a find. Interesting mechanical oddities there. What a great resource!